Chemistry, is a subject which requires hard work and effort to master. Chemistry entails equations, formulas, and concepts; some of these may have to be memorized, while others require a clear understanding of chemical structures and math equations. To excel in chemistry, you’ll need to practice good study habits and pay attention during the class, lab, and while doing homework. Chemistry demands a lot of patience, enthusiasm and most importantly, a good relationship with the subject. Read and revise the assigned chemistry material before going to class. Take plenty of notes. This is exceptionally important as pinning down the important points that your teacher has presented in a class period will help you to understand key topics and ideas. Make sure you understand the basics: to do well on any test or exam, you’ll need to have mastered the basics of chemistry, so you can solve more complex problems when they’re presented. Once you’re proficient at simple chemistry questions, increase the difficulty until you’re working complicated questions. If you need help, talk to your teacher or classmates. Work through every problem step-by-step. Many students skip certain chemistry problems as they can be time consuming. However, they are also one of the most important parts of succeeding at chemistry. Learn from the mistakes you’ve made in previous problems, and don’t move on to the next until you can solve each problem correctly. Work hard but study smart! Question from student: What if I have done all the above but still do not score well in Chemistry? Answer: Identify the problem. It could be from the resources (i.e. teachers or notes) you have received or you need more guidance to study. Seek help, such as by going for tuition. 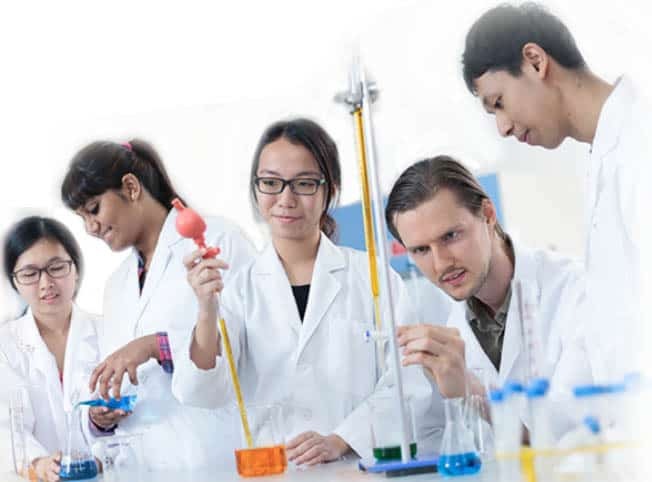 Here’s how to choose a good Chemistry tuition class. Find a tuition centre which provides topical notes and assignments to review topics proficiently. The notes need to be precise and strategized to let students understand the flow of knowledge better. Look for a structured curriculum with tips to score in exams. A small class capacity of 4 – 8 students gives you a more personalized attention and learning opportunity. A teacher who is experienced not just in teaching, but has related industrial experiences to share the application and concepts in better perspective. A passionate chemistry trainer who goes the extra miles to help her students. Not just a teacher, but inspiring and motivating students to learn! Free Coaching is available on facebook/thesciencestudio. Drop a message and Ms. Kate will get back to you on how to solve your Chemistry problems. 5 years of teaching experience in Polytechnic with proven track record in improving students’ test scores (students’ feedback are available as below) . She delivers high quality of teaching and students just like it! 5 years of teaching in private sector. Almost 100% of students improved in 3 to 6 months. 80% of students score between B3 to A1. The positive comments from her students are testimony of her working approach. Sign up now for a free trial class or find out more at www.chemistry-tuition.sg!